These programs are sold out! Please choose from one of our other 2018-2019 offerings. What does school look like when learning approaches aim to be open-ended and joyful explorations through the tools of the arts and sciences? How might playful inquiry open new doors to learning for children and the adults who work with them? What characterizes a pedagogy of play? 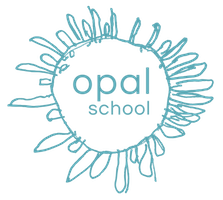 Designed to immerse participants in Opal School practice, this multi-day workshop supports educators’ examination and application of approaches to playful inquiry through negotiated curriculum. Visit Opal School classrooms in session to observe, analyze, and reflect on inquiry-based learning through the tools of the arts and sciences. Talk with teachers about the joys and challenges of a practice that holds a strong image of children as thinkers, planners, and contributors to the community. This workshop has sold out annually. To increase capacity, we are offering it twice in 2019: February 6-8 and March 6-8. Each program begins with an evening session, introducing our work and examining physical environments, and continues with two full days of classroom observation, presentations, conversation, reflection, materials work, and application to your settings. Curious about the flow of the event? Consider 2018’s agenda. As a brand new teacher this past fall, this experience meant everything to me. It invigorated my passion for teaching, for children, for fostering creativity in the youth around me. This was my third trip and each time I have come, I come with a focus/question and I leave with the new questions and inspiration I am looking for…The work that Opal School does to support each of us on our journeys is critical in exposing the possibilities and opportunities that come from working with children. I appreciate the complexity that was shared in your work and my hope is to engage others in these ideas and experiences… I love the philosophical conversation that your provocations have been able to create for me as a school leader with the colleagues I brought with me. I feel that I am looking at teaching through new eyes. The public education system I have been a part of seems to take learning/teaching and make it black and white. Playful Inquiry is learning/teaching in color. You challenged my perception of children’s ability to connect so deeply and thoughtfully in a productive and meaningful way. [I leave] full of big ideas and also specific pieces to try out with our kids next week. I felt pushed just the right amount. I would not have voluntarily formed groups with people I didn’t know, but I’m glad we did – those conversations were fascinating. Observing in classrooms [worked really well for me]. Seeing those communities had a profound effect on me. This was one of the most valuable reflective professional development [experiences] I have participated in in a long time. It brought emotion, which creates meaning, inspiration and hope for change within my practice. [I leave knowing that] deep learning is possible for young people. I can see, imagine, the possibilities that can happen in any classroom. Children have questions that can inspire the adult. This workshop was a much-needed re-centering for me. It reminded me of what I believe in so strongly, that children are capable of deep, critical thinking if we give them the right conditions. It also gave me more specific ideas of materials/experiences that I can bring to my classroom. I feel energized! I’m excited to go to work on Monday. I’m especially excited to generate questions I don’t know the answer to. My beliefs have been reinforced of the capabilities of the very young and of myself. I feel compelled to go deeper, peel away all the layers to find all the deeper things that make us who we are, why we are who we are, and where do we go with that. I see that an authentic culture of respect is possible to develop and maintain with deliberation. Through the establishment of a culture of respect, our greater school community and families will also be impacted. Every time I come, my assumptions are challenged – in the best way possible. I come expecting to learn more about teaching students – but I learn so much more about myself! Participants are eligible to receive university credit upon completion of coursework and payment of an additional fee to Western Oregon University.